There’s a great trend out there in landscaping that uses sand and stone to highlight the “normal” landscaping around homes. It’s not that new, especially if you’ve seen homes in the southwestern part of the county where watering isn’t that easy and is sometimes frowned upon. A lot of people are interested in incorporating sand or stone or both into their gardens or backyard escapes but have no idea where to start. 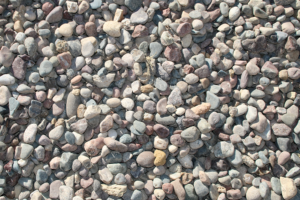 Here are a few tips to get you going before you give us a call for either stone or sand or both! What About Your Own Beach? In Wisconsin, winter vacations to beaches are “a thing”. During the summer, with the great weather, why go to a beach, right? What if you made your own? While you won’t have an ocean (but could build yourself a little pool or water area) you can spend time at your own private beach and have sand delivered. First, select a space and remove the grass and weeds. You will want to order gravel to place first in the area. You can use the gravel to create dunes if you want and you’ll want to create little planting pockets to place soil and beach plants into and around the dunes. There are plenty of beach plants you can choose from that will work. Once that’s done, get the sand. Karensansui gardens are raked sand or gravel and stone gardens. The name means “dry landscape” and are sometimes called “Zen gardens”. These contemplation and meditation areas are easy to create and do not require much work at all. Once you’ve sectioned off the area for the Zen garden, you will want to determine several important concepts that are meant for balance in the garden. The three components are large, medium and small representing heaven, humanity and earth. These sand gardens are meant to miniaturize your surroundings. So, rocks will represent mountains. The area you choose can contain shrubs or trees and should be able to thrive in our area. You’ll want to purchase a rake and create patterns that mimic clouds moving through the area or water moving like a stream. Let us help you try something new in your backyard! Give us a call or contact us online and we can help determine how much sand, stone or gravel you might need to create a new “escape”!